Could Gold and Silver Prices Benefit from a Stock Market Setback? Stock Market Setback; Will Gold/Silver Benefit? The precious metals sold off last week along with most asset classes, as nervous investors fled to the U.S. dollar. Gold lost 1.1% and silver fell 1.9% for the week. If there is a silver lining for metals investors, it is that gold held up better than equities. The S&P 500 lost 2.7% -- the worst week of trading in over two years. Investors will be watching the equity markets closely this week to see if markets can stabilize and recover some important technical levels lost during last week's carnage. The bull market in stocks is getting a bit long in the tooth at 5-½ years, and the sudden increase in volatility is making more traders nervous. Does a Sell-off in Stocks Also Mean Lower Gold and Silver Prices? The 2008 financial crisis left very few asset classes unscathed. Investors sold stocks, real estate, and commodities and fled to the perceived safety of cash and U.S. Treasuries. Last week, investors followed a similar pattern. Though it is too early to tell if we are witnessing the start of another major correction in share prices, it is not too early to analyze whether large-scale selling in the stock markets will be mirrored again by selling in the precious metals markets. It may, but we don't think anyone should count on it. There are some key differences between today and 2008. The gold and silver markets are attempting to recover out of the third year of a cyclical bear market. Gold prices are 33% below the 2011 peak, and silver prices are down nearly 60%. In 2008, precious metals traded in correlation with equity prices -- peaking in the spring and then selling off dramatically as the crisis unfolded. However, a strong year-end rally enabled gold to buck the trend of most other assets and finish 2008 with a small gain. Speculative money poured into the gold and silver markets leading up to the 2011 highs, and it left just as quickly. Today, speculative long interest in precious metals is relatively scarce while the opposite is true in equity markets. Metals need this interest to return to fuel higher prices, but the good news for investors in physical metals is that there are fewer weak hands in the market willing to sell at the first whiff of bad news. Fed bankers are also more likely to react swiftly given the lessons of 2008. We at Money Metals, and most of our customers, share a skeptical view of Fed policy. Though we hold the Fed responsible for creating the debt and real estate bubbles that exploded into crisis 6 years ago, it is important to remember no one at the Fed feels responsible for fostering market booms and busts. Fed Chair Janet Yellen is openly critical of the central bank's response to the 2008 crisis; saying her predecessor, Ben Bernanke, printed too little money too late. It seems safe to say she will not sit idly by should stock prices fall precipitously. And gold and silver prices should outperform as investors see the Fed shift from tapering to accelerating stimulus. Finally, the U.S. Dollar does not enjoy the same dominance that it did 6 years ago -- in large part because Fed officials so enthusiastically prescribe stimulus for virtually all economic woes. Several years of extraordinarily loose monetary policy in addition to foreign policy disputes with major trading partners such as Russia and China, and we have seen that the “almighty dollar” isn't so mighty. 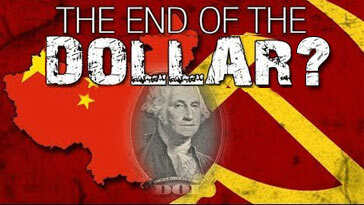 China, Russia, and other BRIC nations have begun a policy of “de-dollarization” -- starting with agreements to buy energy without “petro-dollars.” This shift could mean the dollar and U.S. Treasuries won't enjoy an exclusive safe-haven play if turmoil in the stock markets has investors running for cover. In fact, we may find the precious metals are big beneficiaries this time around.